I have been a member of BHM for about 7 years now, but don't really post much, pretty much just try to keep current on interesting new vendors and weave techniques. 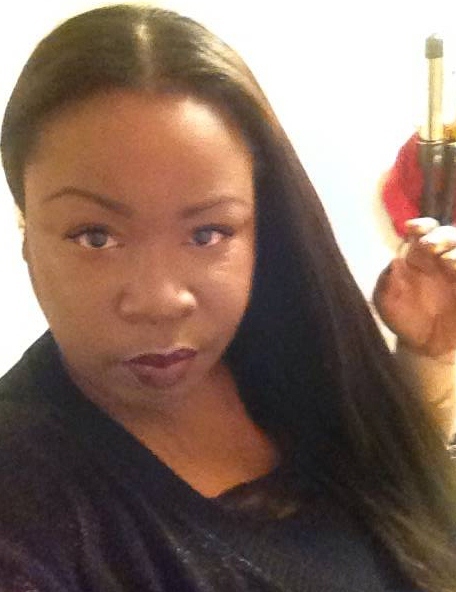 I've been wearing weaves for 20 years, and self-install.. my hair is my passion!! Also, I am VERY hard on hair. Less maintenance is more for me. I do not like to use a lot of product at all and hate spending a ton of time on my hair to make it look right. I'm a wash and go, air dry, bump and get onto my day kind of girl. I need to be able to tie my hair back...or let it hang loose while I hike or workout. I typically only use drugstore products on my hair as I enjoy the convenience and accessibility of it. Wanted to check in today to share my experience with http://IndianHair.net. I am an "indian hair" girl. And hadn't ordered any for quite some time due to crazy financial stuff and had to spend my dime on BSS hair for awhile (gasp!).. Previously my spot was Indianhairs.com, however this time, I didn't as I received a pretty awful batch from them last year...Anywho... 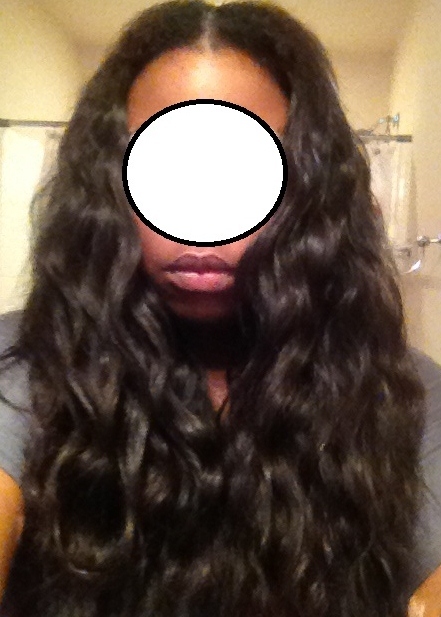 I had never ordered from these peeps, (indianhair.net) and couldn't find a TON of reviews on them on BHM, found lots of Youtube vids..but not a ton here.... so wanted to go ahead and post my experience in case anyone is curious about them. 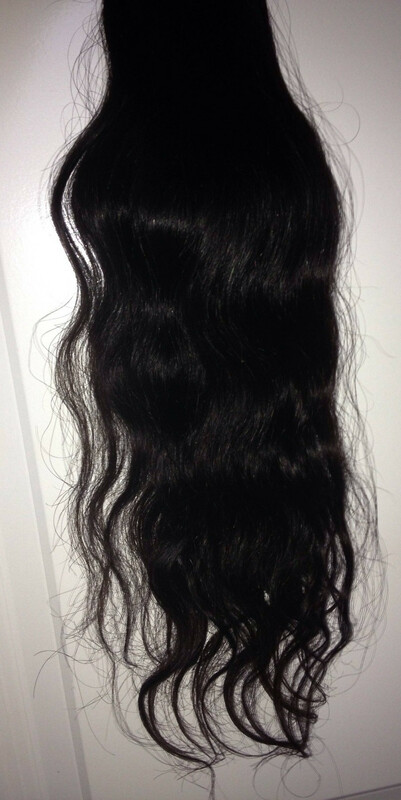 So, I ordered three bundles two 18 inch and one 20 inch. And my first comment is in reference to the customer service. I had ordered my hair, next day as the shipping was pretty cost effective. Shortly after ordering I received a call from Melissa at IndianHairs to tell me that my order would not arrive in the afternoon, but in the morning as UPS didn't offer early deliver in my somewhat "country" area (I live about an hour away from Seattle.) I gleefully exclaimed.. "no worries". I work from home so would be here whenever the hair arrived. What I didn't tell her is I know my UPS driver and I knew I wouldn't receive the delivery until late afternoon anyway.. LOL. In any case, I was promptly provided with a tracking number and notification from IndianHairs.net when my order was on its way. So, the hair arrived. I ordered the wavy texture as I typically wear my hear straight, but enjoy wearing it wavy when I'm too lazy to flat iron after washing. It is beautiful. It smelled of conditioner and it was a bit offputting that the hair was very slightly damp.. however; it just made me realize that as soon as I placed my order they must have grabbed my bundles, washed them and packaged them up.. LOL. The waves in the hair are just as I wanted, very loose. The tracks are very sturdy and the wefts are delightfully thin. I installed the hair the very next day, and I am a very happy camper. As I type this I am about to "finally" flat iron the hair straight... but as for now, the shedding has been VERY minimal and the hair does not tangle. I wore it wavy to hang with some friends... and we spent a Saturday evening out and about in misty Seattle... we went dancing, and I was whippin' my hair around like crazy. And was delighted to get home and only have minor tangles. Its so bouncy and full of body. I adore this hair. So I guess that is it in a nutshell. I've attached a few pics and will attach more when I have my doggone makeup on with the hair straight! Pics can be found here if they are not loading properly in this post..
All Three Bundles straight from packaging. Hair comes to you already washed and may be a bit damp! Welcome back ,I remember your posts back then when Indianhairs.com were on top of there game I heard the quality had slipped . 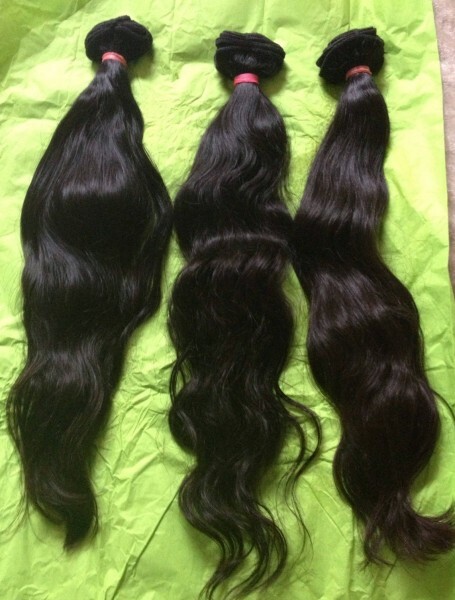 So you would say the Indianhairs.net is genuine Virgin Indian hair ,the only vendor I can use at the moment for Indian Hair is Bdogg and his wefts are not up to scratch. The hair is really beautiful quality. But I am leery if it is virgin hair as it did seem to come to me washed. However, the ends of the hair are a bit "dry" which I found to be quite common with the virgin indian hair that I previously purchased. 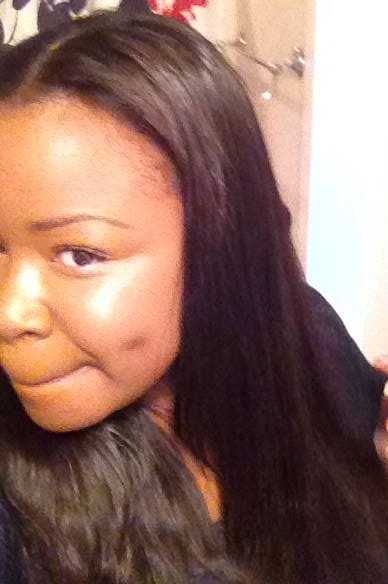 Honestly, because of the price I think that is why I don't feel it is truly 100% virgin hair. It must have some fillers here and there. Nevertheless, the hair is VERY beautiful and I am pretty impressed. Nice to hear about positive purchase experiences and good customer service. Thanks for the review op, I was considering getting a closure from them but changed my mind at the last minute. Glad you are happy with your purchase. The hair looks nice. They were set up at the hair show a few months ago in Atlanta. Very knowledgeable crew. 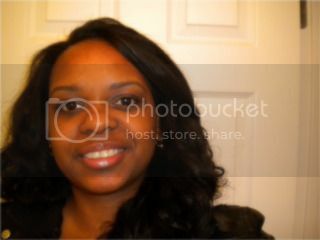 The hair was pretty, I got a wavy closure from them at the hair show price of 50 bucks. Construction was good but it was too shiny for me so i have since altered it. The hair looks really pretty. Well done! Thanks ladies!!! I half-heartedly straigtened it... here are the straight pics. I didn't have time to do much, but this hair does seem to be a bit dry, and I did clip the ends off as they weren't very happy ends..(dry). Also going to apply a dark rinse to it.. see how that works out, as I just want it darker. Overall, I will definitely purchase from them again.